A few weeks ago, a few people posted a video montage of Joe Biden eating ice cream on my Facebook wall. My heart swelled with emotions. The first was mild confusion. No, I wasn’t confused as to why I opened up my habitual feed to find this particular visual. But I wondered, Is this who I am? Am I a woman who comes to mind when other people see Joe Biden eating ice cream? Is this who I want to be? Then I watched the video twice. Small pleasures, man, small pleasures. Joe Biden has given so much of his life to public service that I couldn’t imagine dedicating just one ice cream to him, so I’m going to have to do an Joe Biden ice cream bracket. I like to think that he would approve of this, after all, he did share an ice cream cone with Jimmy Kimmel on TV. 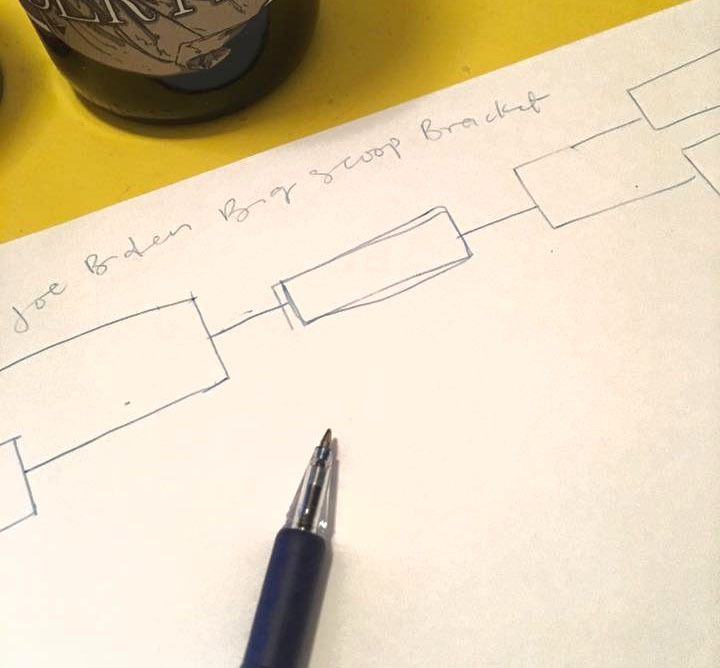 So, in the next couple weeks, you’ll see here on Head of State Cakes the Joe Biden Big Scoop Bracket. I’ll develop eight ice cream recipes, based on different elements of Biden’s life or career, and we’ll have to just see which one is the best. This entry was posted in Biden Big Scoop Bracket and tagged ice cream, Joe Biden. Bookmark the permalink.